Many patients with missing teeth consider getting a conventional dental bridge over dental implants because they think it costs less. This is far from the truth. 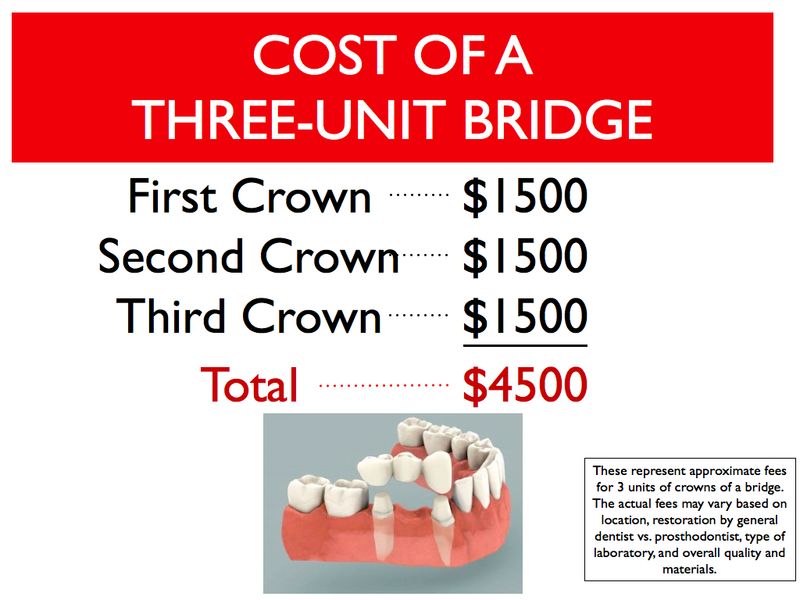 Look at the following costs and features between a conventional three-unit bridge and a single dental implant for replacement of one missing tooth. 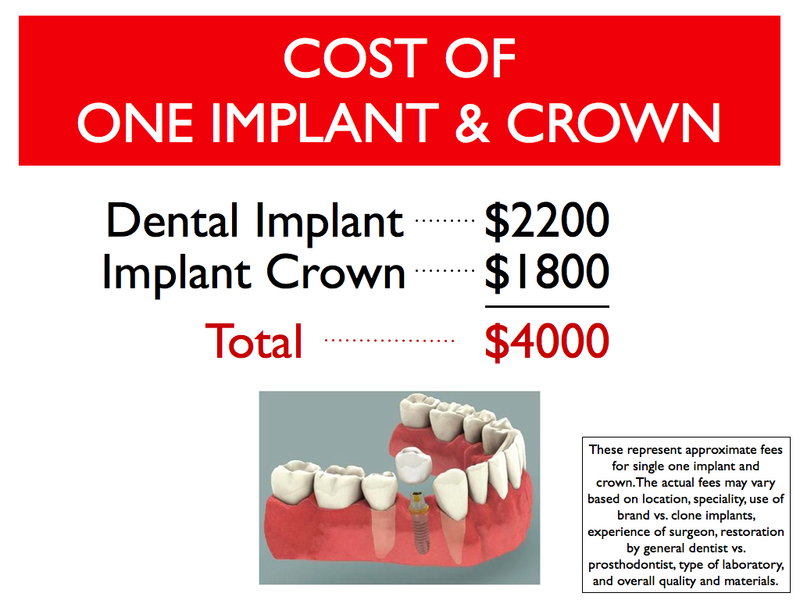 Dental implant is clearly the optimal choice and can actually cost less than a bridge. The overall cost is amplified when you consider that dental bridges on the average last only about 6.7 years therefore requiring frequent replacements. This is due to high incidence of recurrent decay, root canal complications, and fractures. As the result the entire bridge must be removed which is a very costly loss. Dental implants on the other hand, can last a lifetime when properly placed, restored, and cared for. This entry was posted in Dental Implants and tagged cost difference between bridge and implant, cost of bridge, cost of implant, how much is dental implant. Bookmark the permalink. ← Replace An Old Bridge With Another Bridge Or Dental Implant?